Looking for a gift to give for Birthdays, Christmas or just to show you care? We have the perfect gift - the gift of quality time together! 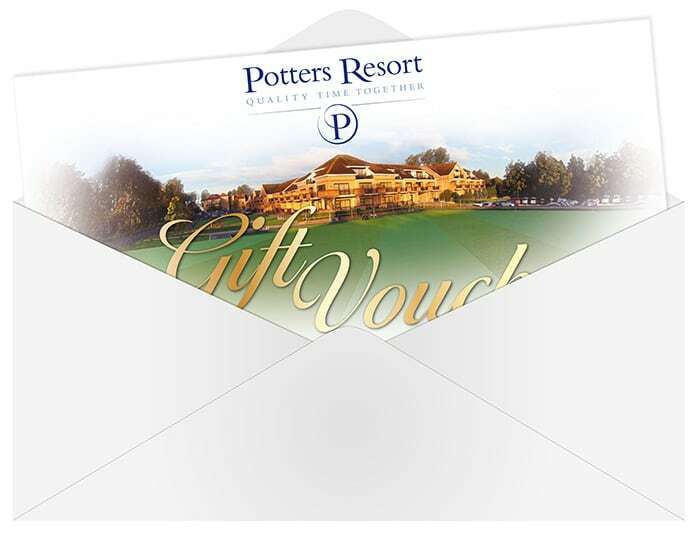 Potters Gift Vouchers make the perfect unique gift idea for anyone who enjoys life’s great experiences. With our unique and individual take on a traditional UK Holiday, 5 Star Potters Resort is the perfect place for a staycation in the UK. Enjoy fantastic inclusive value with all our breaks offering Comfortable Accommodation, First Class Live Entertainment, a range of Inclusive Activities and Facilities and Four Delicious meals a day, all for one incredible price. With breaks from as little as £119 per person!